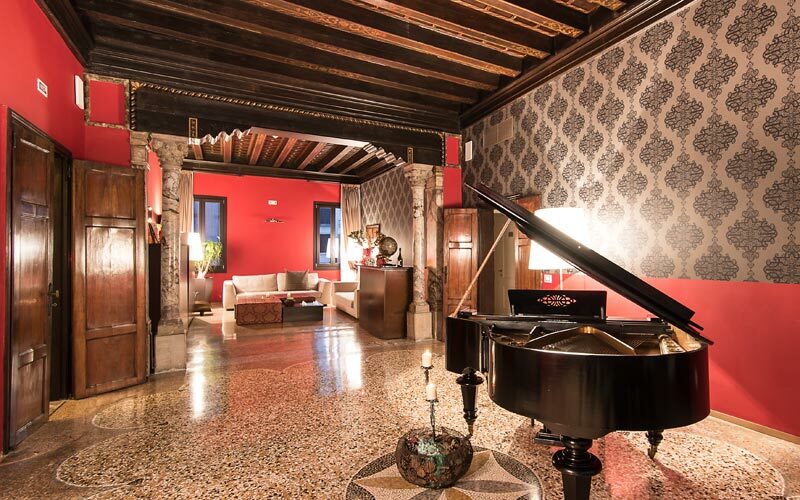 Take a 19th century palazzo within steps of St Mark's Square, add a peaceful internal courtyard, and rooms filled with a fusion of vintage, Venetian and contemporary design and what do you get? 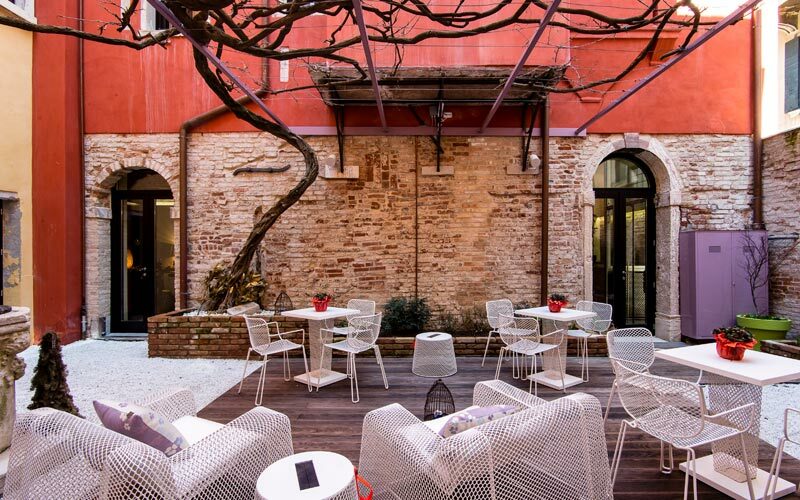 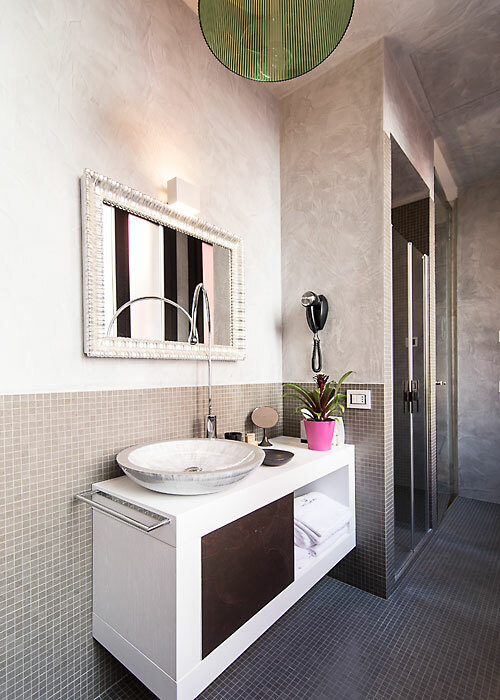 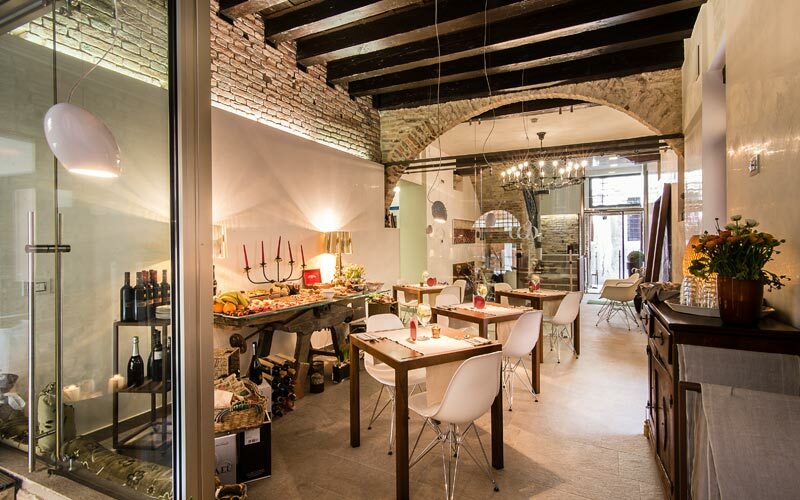 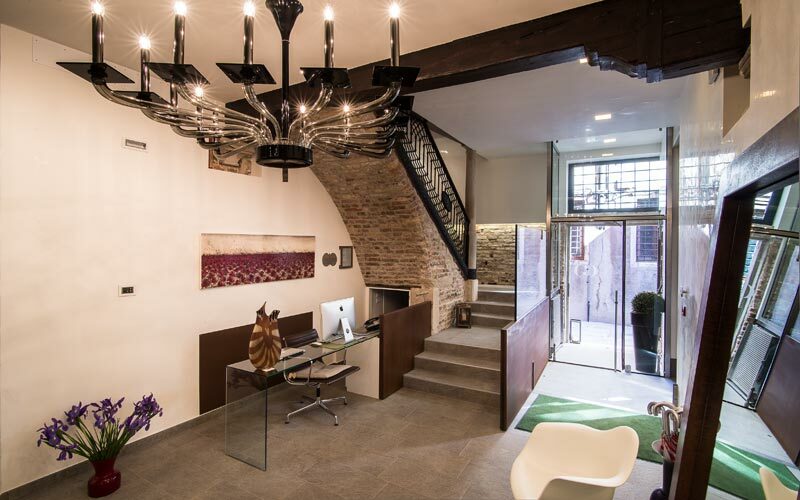 Beautiful boutique hotels like Venice's Corte di Gabriela! 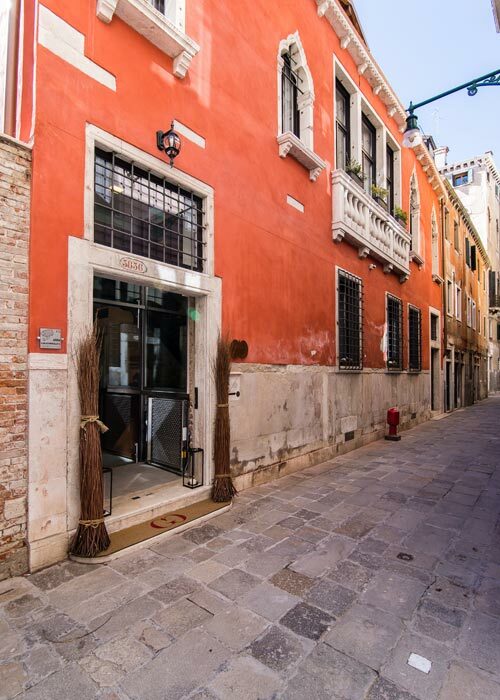 For centuries Venice has been the meeting place of East and West, old and new, tradition and innovation. 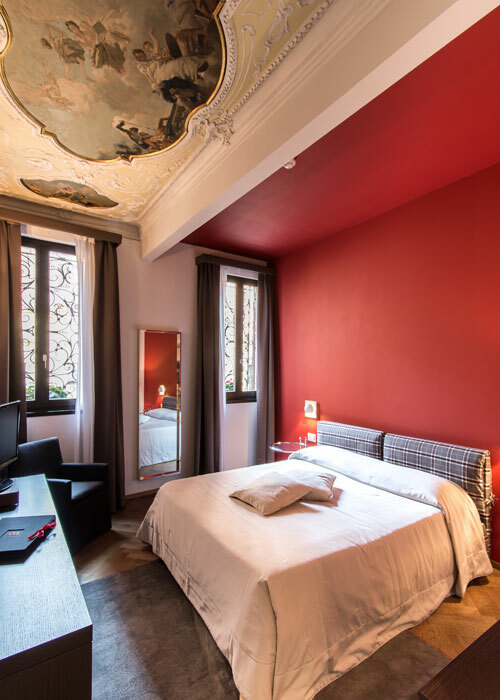 The same intriguing mix which characterizes the rooms in Corte di Gabriela and which makes this Maison de Charme so special. 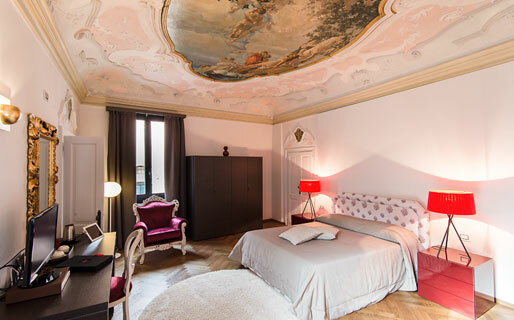 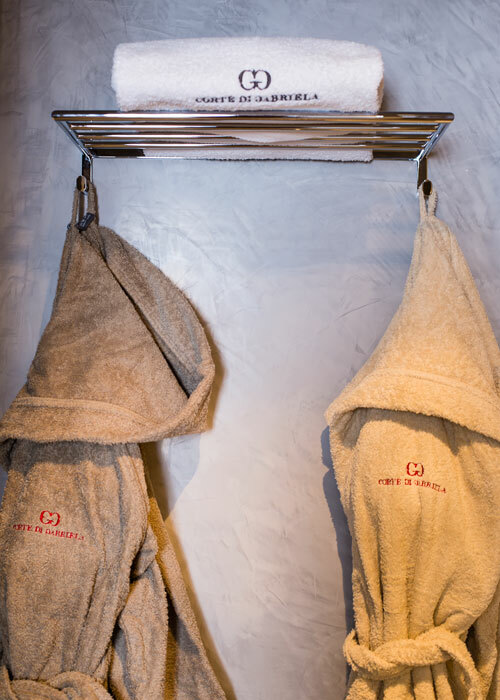 Corte di Gabriela has a total of 10 bedrooms and suites, each one with its own distinct character and personality. 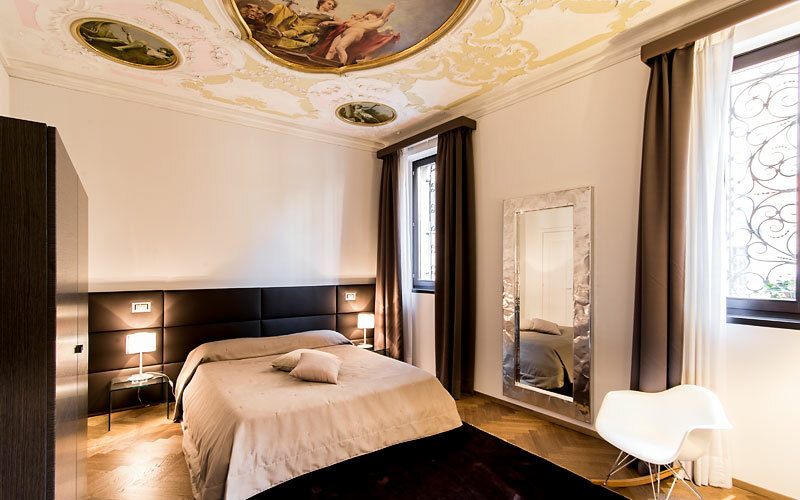 In the hotel's Comfort and Deluxe rooms, modern minimalist interiors create a striking contrast with the palazzo's ornate,19th century ceilings. 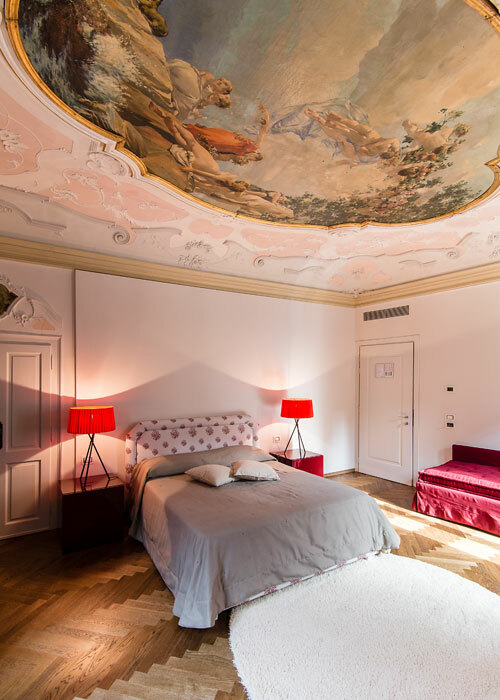 From the pretty balconies which characterize Corte di Gabriela's Luxury rooms, tantalizing glimpses of the canal leading to the Canal Grande can be seen. 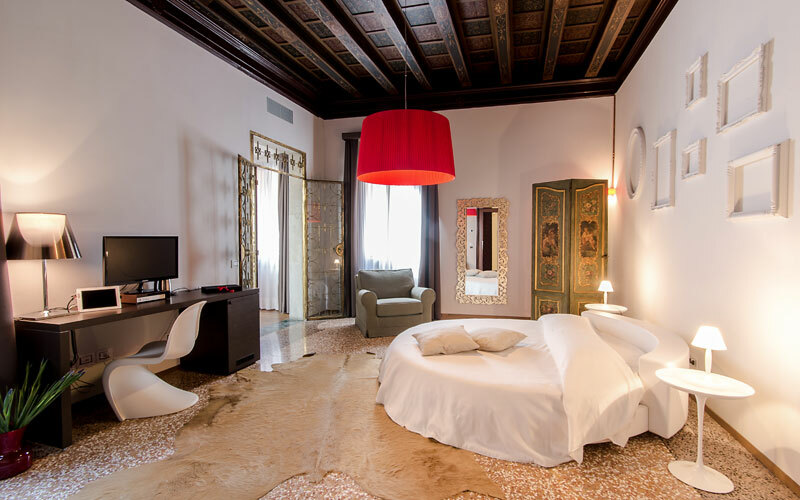 Spacious, filled with light and with gorgeous views over the internal courtyard, the canal and the rooftops of Venice, the hotel's Junior Suites are ideal honeymoon material. 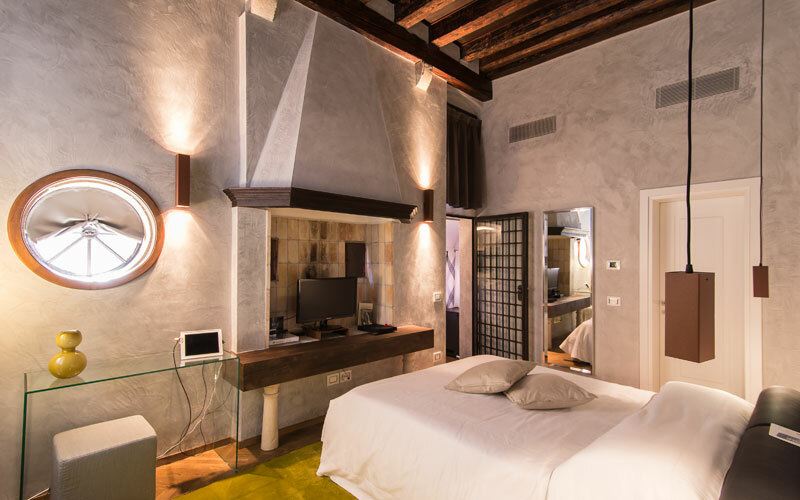 An unexpectedly hi-tech hideaway: at Corte di Gabriela there's an iPad in each and every room! 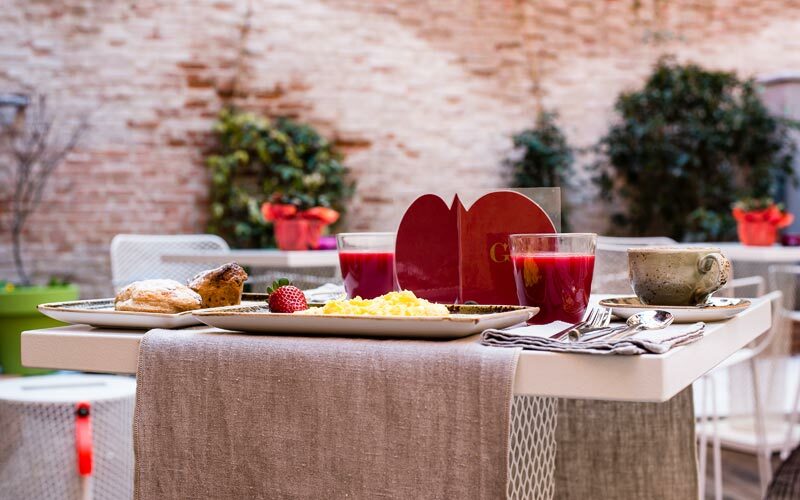 On sunny mornings, breakfast is served around the old stone well in the hotel's internal courtyard, the same courtyard which, as night begins to fall, provides a charming venue in which to enjoy a leisurely aperitif. 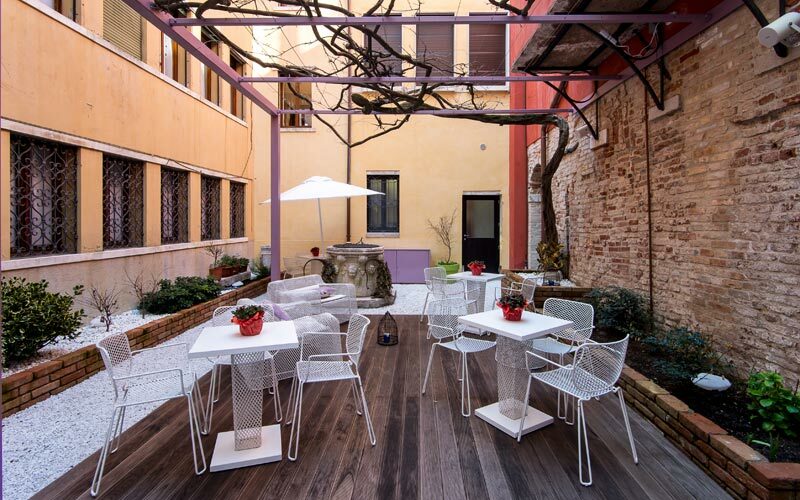 Hotel Corte di Gabriela boasts an enviable location in Venice's Campo Sant'Angelo, between the Rialto Bridge and St Mark's Square. 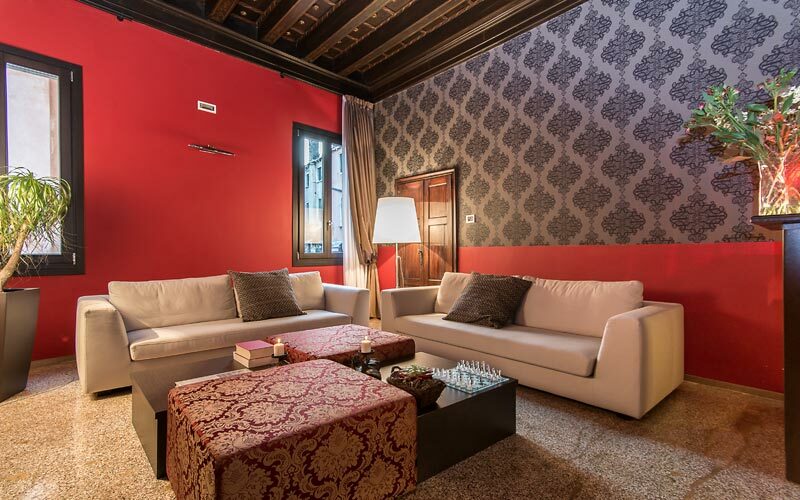 You're in the heart of the Serenissima, within steps of many of Venice's most important tourist attractions, such as St Mark's Basilica and bell tower, Palazzo Ducale, Campo S.Stefano, Palazzo Grassi, Palazzo Fortuny and the Fenice Opera House.